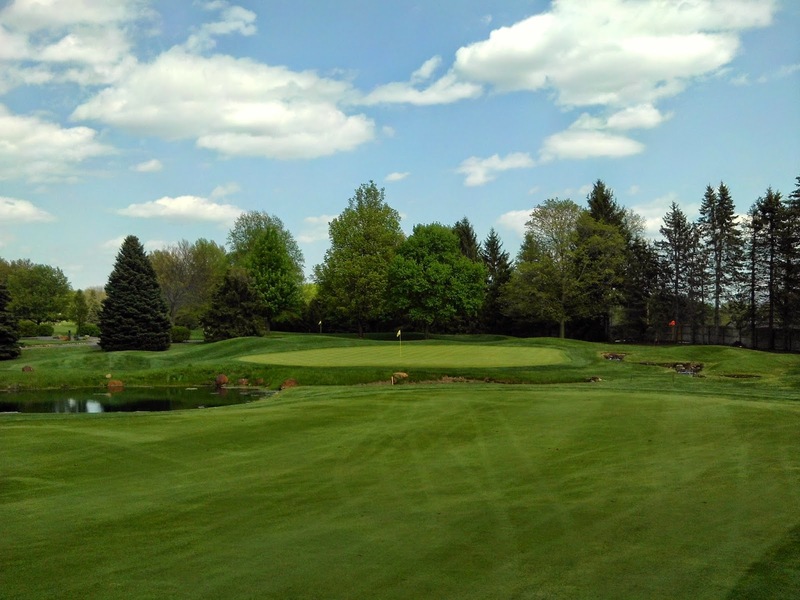 As many of you have seen, the golf course has being working overtime growing healthily with the warmer temperatures and timely rains we have experienced in the last two weeks. 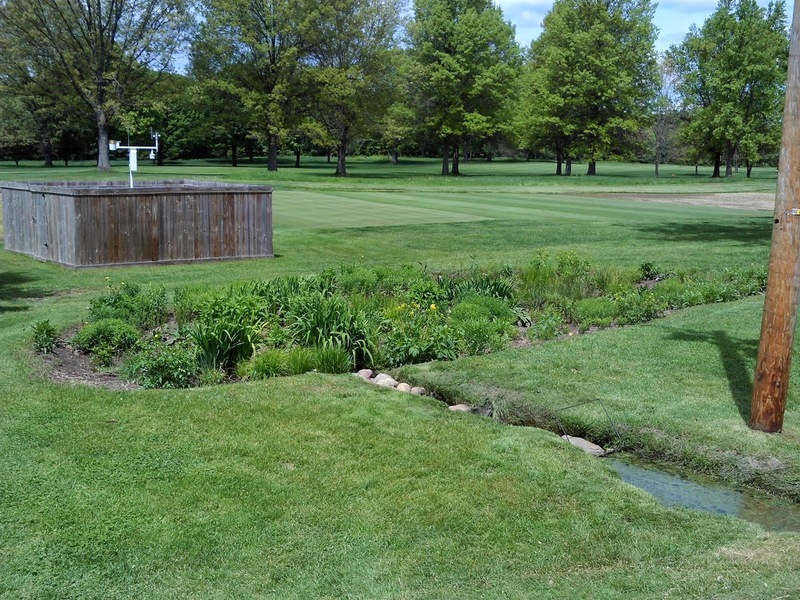 Our staff has put much of their efforts in keeping up with the spring flush of growth, especially in the rough areas. 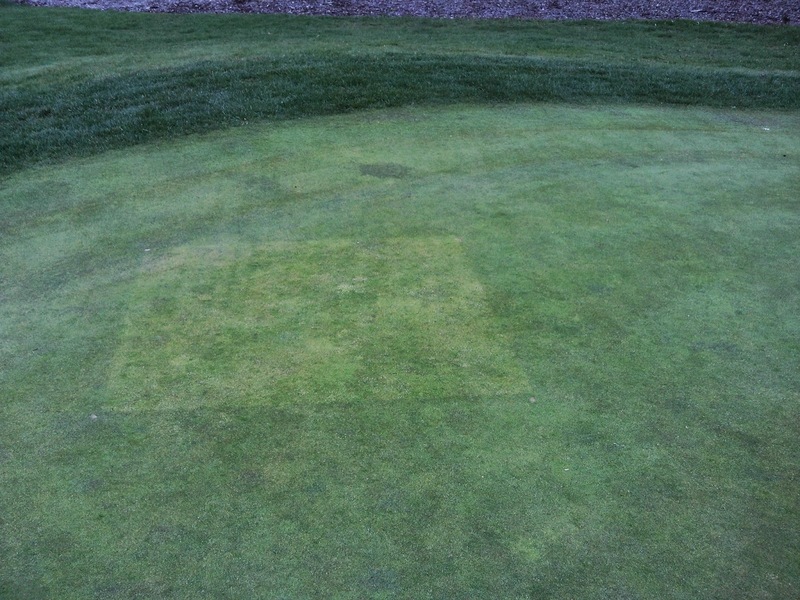 On May 19 we applied a growth regulator to rough areas to further slow down the rate in which it is growing. Another great benefit of this application is that it will help increase the density long term in our roughs, something that has been a goal of the Grounds Department for the last few years. We have already seen it starting to take effect around green banks and fairways. Going forward, we will be lowering the height of cut to further make the rough more playable and fair. With hotter weather on the way, the rough will eventually tame to a more manageable playing surface. Another spring sight has been the excess seedhead formation on greens. As much research and timing data there is out there, sometimes Mother Nature has a different plan than what we want. Our check plots indicate that we have achieved a moderate level of suppression out of our program, but obviously not complete suppression. This is consistent with what others locally and regionally have said when I have spoke to them. Our third growth regulator application went down on Wednesday, and we have used vertical mowers, rollers, and brushes to eliminate as much of the seedheads present to maximize ball roll. An extra topdressing application was made to raise the seedheads above the canopy (after brushing the sand in) so that we could mow more of them off of the playing surfaces and smooth them further. This too shall pass with warmer weather on the way. Finally, we are having our Audubon Recertification Visit on Tuesday, May 27th. To the right is a picture of the rain garden that was constructed in 2012 with generous help from the membership. The rain garden system filters out clippings and other impurities that may be in the wash water that we use for our machinery, making the water that enters the groundwater basin cleaner and safe for its future destination. I have been impressed with this project from my start here and am always looking for more ideas that can further help Elcona be the best environmental stewards that we can be. If you have any, please contact me at ryan@elconacc.com. 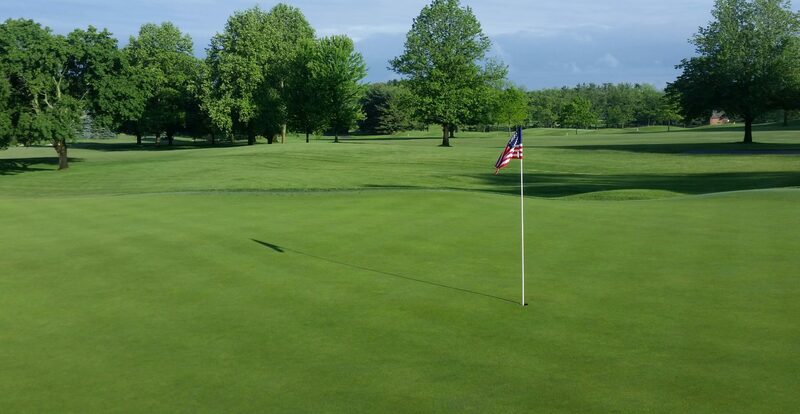 Have a great Memorial Day weekend, and to all who have served our country, thank you!